Rio Salado College | RioNews: Are You Ready to Graduate This May? Are You Ready to Graduate This May? Rio Salado Commencement and Graduation ceremonies are just around the corner. Are you ready? Visit our Commencement and HSE Graduation web pages for more details about attending these special events. 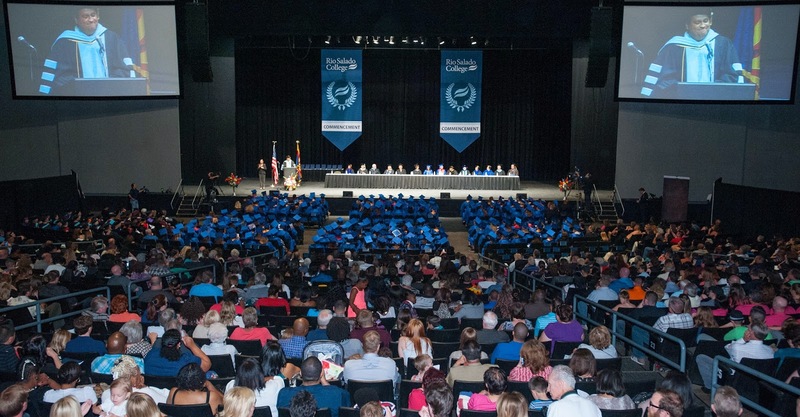 Graduates participating in the ceremonies must wear the official RSC blue gown, cap and 2015 tassel. The $25 graduation fee includes the cost of these items, as well as a diploma cover. Grad Images will be taking photos during the ceremonies, which you can be purchase online a few weeks after each ceremony. We will provide updates as soon as we know they're ready. Rio Salado staff photographers will also be taking photos, which we will post to our Facebook page for you to upload and tag. You will have an opportunity to purchase a DVD copy of the ceremonies. DVD sales will take place at the events. Cost is $20 and must be paid at the time the order is placed. Cash or credit cards will be accepted. 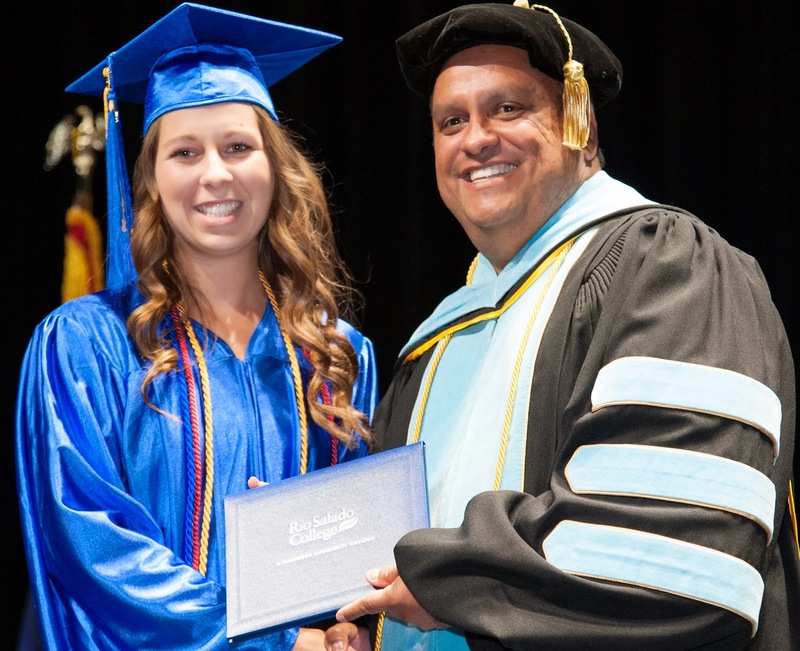 Commencement DVDs orders can also be placed through email requests between now and Monday, May 25 by submitting to insitutional.advan@riosalado.edu. A Rio Salado representative will contact you to help you complete your order. MCTV Cox Channel 115 will be videotaping the ceremonies for broadcast, which will be sometime in late May or June. We encourage you to share your graduation stories. Use the #RioGrad hashtag in your posts.